The Sea Squirt program is designed to introduce young sailors ages 5-7 to fun and safety in, around and on the water. The goal of this course is to build young sailor's love for sailing in a controlled and safe environment. The class is designed to work with the children at the level that they are comfortable with. Activities build confidence and include sailing, knot tying, nautical terminology, crafts, songs, water activities and "messing about in boats". We emphasize the importance of teamwork, respect, and safety in daily lessons. Our number one goal is to pass on our passion for the sport of sailing to the next generation of St. Croix Sailors. The Optimist is the largest sailboat class in the world. This is the sailboat that nearly all of the greatest sailors in the world learn to sail. It is an 8ft boat sailed by just one person. You learn all the basics of sailing; tying knots, sail trim, steering, bailing water out of the boat, rigging, derigging, teamwork, safety etc. The Course introduces the student to the sport of sailing, starting from the very basics. Class is meant for any youth or adult planning to be a sailing instructor, life guard, etc. or just wants additional safety training in First Aid and CPR. This course will fill the requirement for the US Sailing Level 1 Certification. This course will be taught by SCUBA instructors. Non-members are welcome. But Members will take priority. 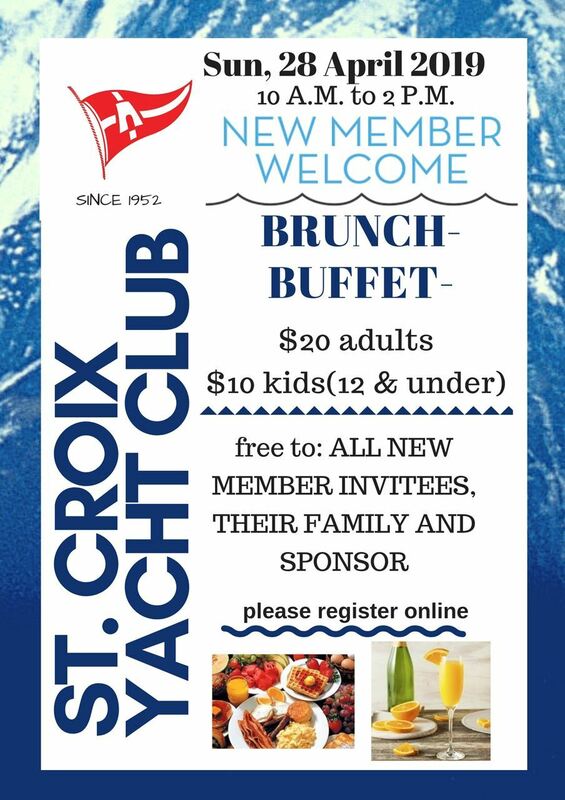 The St. Croix Yacht Club is proud to host this Full day of Rhodes 19 Sailing! Long Distance and Buoy Racing! Dinner and BINGO in the Evening along with the Awards! 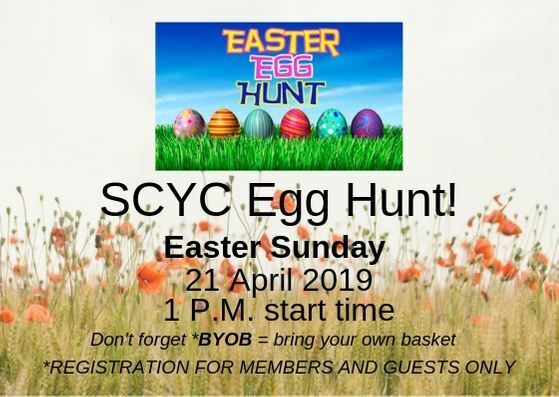 For SCYC Members and their Guest. First Come, First serve. Limited seating. Come welcome our new members! Also, we are in need of volunteers for the door (meal included). Contact the manager for details. *If you have attended your New Member Brunch already and would like to attend this date as well, you are encouraged to come out and support. But will have to purchase your meal. Thank You. FREE TO GIRLS THAT HAVE NEVER SAILED OR BEEN AROUND SAILBOATS ONLY!! This program is a part of the AdventureSail program founded by the National Women’s Sailing Association. The program has the goal of introducing young women to the sport of sailing. Optimist, Sunfish and 420 classes taught by our Instructors and will be held at St. Croix Yacht Club for youth ages 8 to 18. Membership discount only applies to IMMEDIATE FAMILY - does not extend to grandchildren, and other more distant relatives of friends of members. Sea Squirt classes will be held for youth ages 5 to 7. Membership discount only applies to IMMEDIATE FAMILY - does not extend to grandchildren, and other more distant relatives or friends of members. 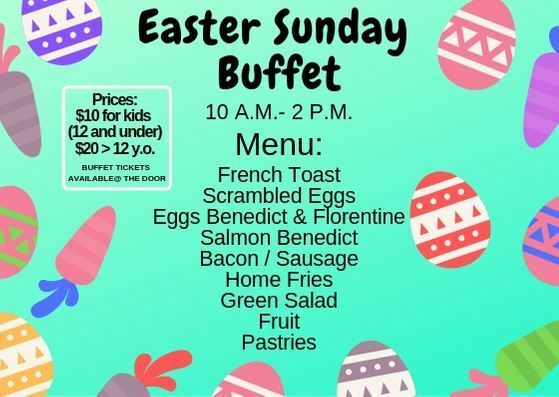 March 30, 2019 Our Friends at YSA are having a fundraiser! December 27, 2018 Thursday Night Dinner?! July 14, 2018 World Cup Weekend Matches!! July 04, 2018 4th of July Celebration! December 31, 2017 Last Brunch of 2017!